There's nothing hippy about hypnobirthing! Cool ideas for hot days to make the most of summer! Kids and play- the challenges! Five exercises and stretches your kids can actually help you with! DIY paper windmills: we show you how! Your great ideas for first birthday presents! Being pregnant is a beautiful, precious time in a woman’s life, but because our bodies are in full-on nurturing mode, it's also a time of restriction. In other words, for nine long months we have to say say goodbye to sushi, bought salads and our favourite tipple. Sometimes it can feel like we can't have any fun till after the baby is born - and then who'll have the energy?! The idea of a “babymoon” has become a popular way for partners to connect, celebrate and truly enjoy their time together before their bundle of joy arrives. But if flying to Tahiti for a week isn’t an option in your current budget, don’t worry! There are plenty of ways to capture all the benefits of a babymoon without breaking the bank, writes Hannah Banks. There are some excellent Airbnb properties available, and by staying local you can find somewhere romantic that's also affordable. Some places are rustic and remote, others are more sophisticated and urban. It's really up to you and your partner to decide what type of an experience you’re both craving. If you’re really savvy you can even put your own place on Airbnb, while you go on your trip! Sometimes it isn’t where we go but what we do that makes a moment so special. Intention is everything and if you choose to be creative and make your home the setting for a special evening together - you’ll be surprised at how magic it can feel. Maybe you order a great meal in and snuggle up with a movie. By spending the time caring for each other and having great conversation, even a night at home can be romantic. Don’t forget to light candles and use your best wine glasses for your sparkling grape juice to make the most of the occasion! This is a less cheap option - but sometimes all you and your partner need is one night away from the usual household chores to feel completely renewed. And bear in mind, that if you stay local there are zero travel costs. Sometimes a truly great hotel might be right on your doorstep. When you consider how good you’ll feel getting room service in your fluffy bathrobes, it might be worth it! There are some amazing food markets around, which are perfect for a babymoon style morning. You can have fun strolling around the markets, gathering all your supplies . Then you can spend the afternoon lazing on a picnic blanket in the sun sharing delicious pastries together. A ferry ride is a great way to explore some beautiful places you wouldn’t normally get to. Pick a place that you've always wanted to visit. If you make it a day trip you can cut out the overnight accommodation costs, while still getting to enjoy a day away. Camping is a fun and inexpensive way to create a special holiday with your partner. You could go for a cabin instead of a tent so you're not struggling with a camp bed and, even better, have a toilet nearby. A barbecue, a walk along the beach, some stargazing - you’ve got the perfect babymoon date. Mark Zuckerberg shared these cute pics of his new family at home on Facebook, December 2015. 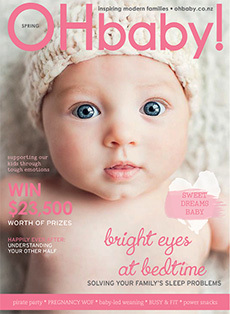 Copyright © 2019 www.ohbaby.co.nz. All Rights reserved. We invite you to join the OHbaby! community. We like to call it 'the Village' - in that 'it takes a village to raise a child'. Subscribe to our newsletter and be encouraged, inspired, and first to know what's new, enter amazing competitions, view videos and so much more! 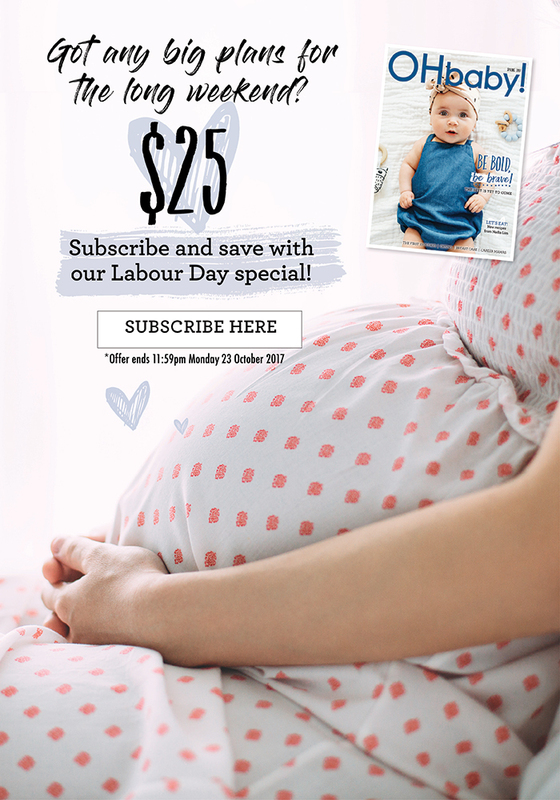 Want to keep on track with your bump or baby's development? Enter your child's details here to receive our regular development emails. Congratulations. You are now a member of the OHbaby! community. Add another child to profile Return to OHbaby!